The Jacksonville Social Security office is located in Jacksonville 32256. The following page includes information for this location like the office phone number, hours of operation and driving directions. If you have any interests or comments about your retirement benefits or are interested in making an appointment, call the following Jacksonville Social Security office. 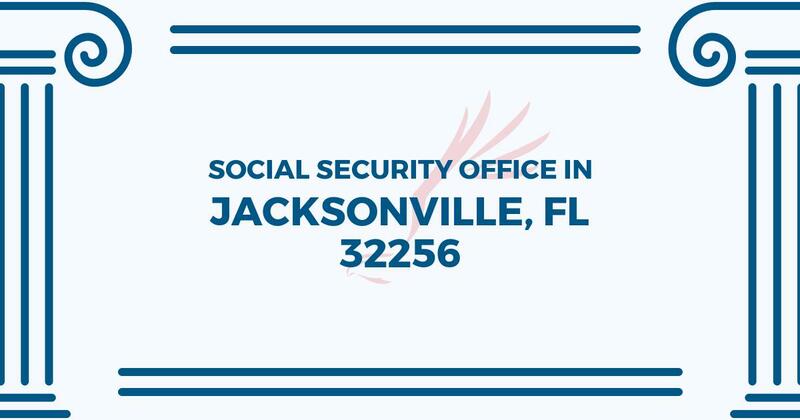 The Jacksonville Social Security office is located in Jacksonville 32256. The following page provides information for this location like the office phone number, hours of operation and driving directions. If you have any curiosities or worries about your retirement benefits or are interested in arranging an appointment, call the following Jacksonville Social Security office. I went to the bonneval office yesterday 4/8/2019 to get a replacement social Security card and to change my direct deposit information! I was told I had to take a number and wait until I was called to apply for my new card, then I would have to go next store to change my direct deposit information! So, I was dreading the time it was going to take cause next store was packed with over an hour wait! I was called to window 3 I think which is where I was helped by Mr. Minor. He handled my replacement card then I told him I had to go next store and wait now to change my direct deposit information in which he responded with I can help you with that he was awesome let me run to my car to grab the direct deposit information and he changed it for me. I just want you to know what a great employee you have working for you Mr. Minor will always have my thanks and gratitude for helping me so well! Anyways thank you Mr. Minor for your kindness, patience, and helpfulness!